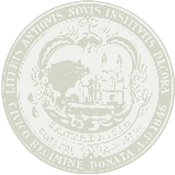 Established in 1977 as a City department by Council ordinance, the Cambridge Commission on the Status of Women (CCSW) works in an inclusive manner to promote equity for all women and girls and advocates on their behalf with other City departments and officials, local organizations, and state government to increase their opportunities through policy recommendations, program development and public education in key issue areas identified by the Commission as significantly affecting women and girls. The Cambridge Women’s Commission recognizes, supports, and advocates for all who self-identify as women or with womanhood, including transgender, gender fluid, and non-binary persons. We stand with and for all women and girls regardless of immigration status, sexuality, race, ethnicity, ability or religion. Foster the advancement of the status of women and girls, particularly marginalized women and girls, within the city. Advocate and monitor statewide legislation to improve the quality of women’s and girls’ lives. Promote programs that increase public awareness and understanding of multiple issue areas, including but not limited to gender based violence, women’s history, and pay equity. Provide technical assistance, information, and referral to individuals, community organizations, businesses, and other City departments related to women’s and girls’ services. Coordinate and work with community organizations and coalitions promoting issues that improve the quality of life for Cambridge women and girls. Monitor complaints of unlawful and unequal treatment of women in Cambridge. Members of the Commission are appointed by the City Manager and are responsible for supporting the Executive Director in accomplishing the Commission’s goals. The Commission occasionally seeks exceptional, motivated, and committed area graduate and undergraduate students to assist in a variety of meaningful community initiatives or research projects to enhance program development, implementation, or facilitation. Fall, Spring, and Summer internships available. Regrettably, the Commission is unable to compensate interns. To inquire about current opportunities, call 617.349.4697 or email us. Minutes of the Commission's public meetings are posted here.